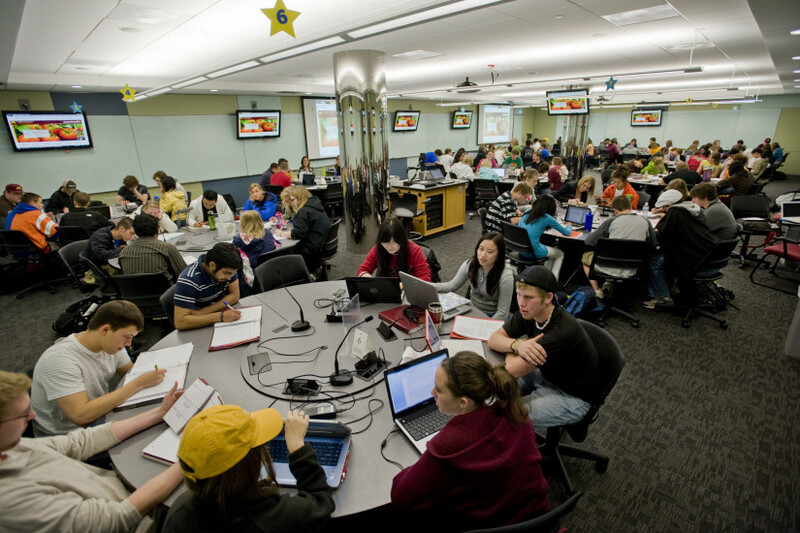 The University of Minnesota’s Robert H. Bruininks Hall houses ten active-learning classrooms, five multipurpose classrooms, two large lecture halls and offices dedicated to university-wide student services. The project was awarded a Leadership in Energy and Environmental Design (LEED) Gold certification from the U.S. Green Building Council. The acoustical design of the flexible classrooms supported the collaborative learning environment. 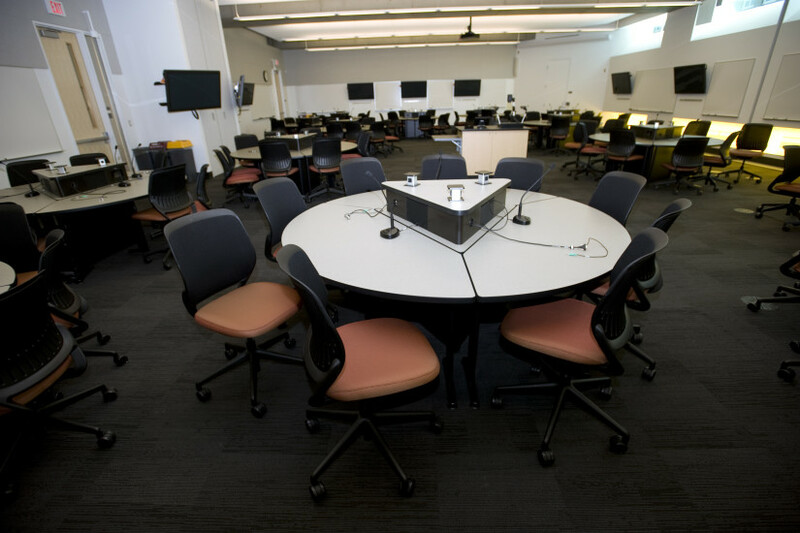 We provided recommendations to achieve adequate sound separation and to control interior acoustics for speech communication between student groups and instructor. To better understand the university’s multimedia needs and standards, SM&W collaborated with the Office of Classroom Management. 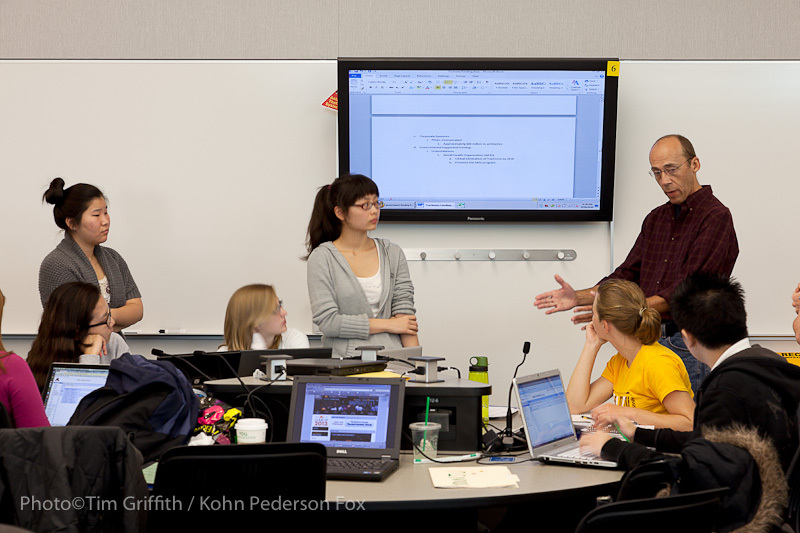 The resulting design for each classroom demonstrated flexible classroom construction techniques, creating an innovative and collaborative learning environment for students and faculty. Enhanced by unified technology infrastructure, the learning spaces work harmoniously as an extension of the teaching curriculum. Photo Credit: 2013 Regents of the University of Minnesota. Photographs used with permission.